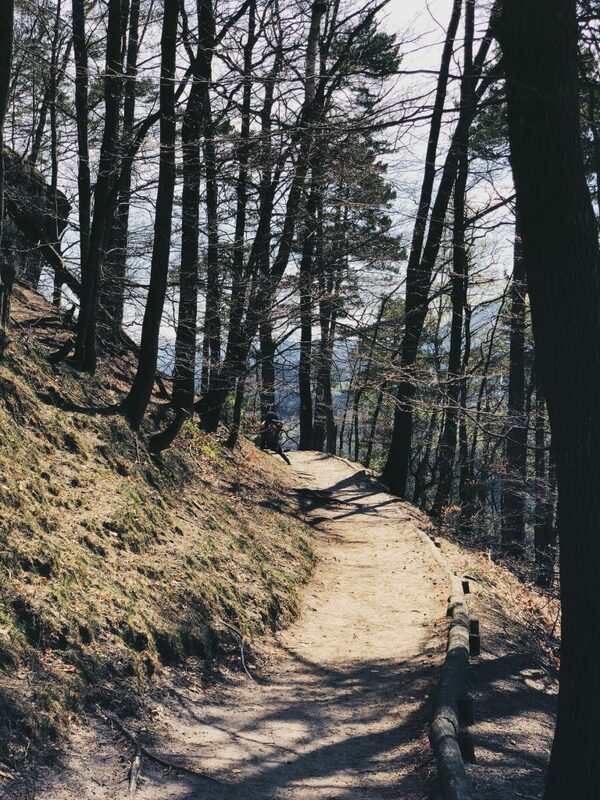 Bohemian-Saxon Switzerland (PRAGUE PTII) – Dutchie. 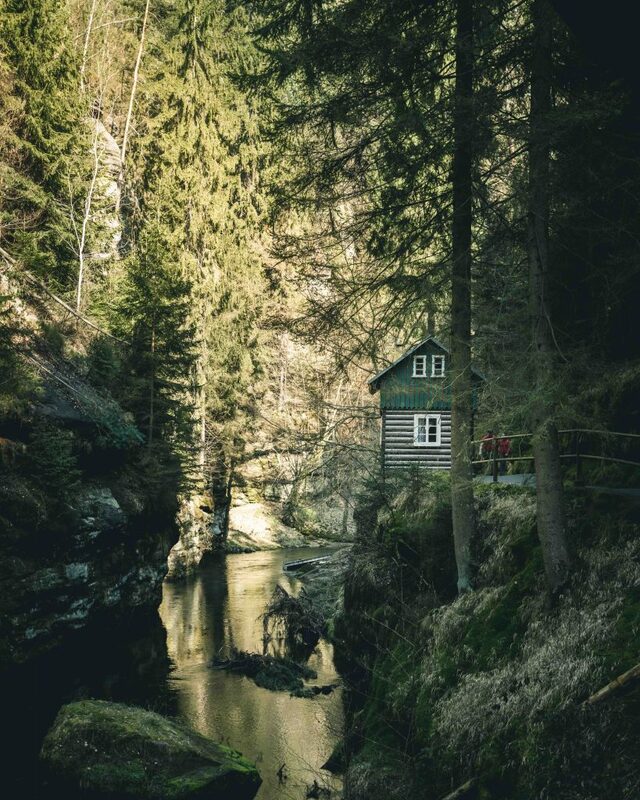 The second day of my visit to Prague with Czechtourism started with an early pickup by the guys from Northernhikes for an epic hike in BOHEMIAN SWITZERLAND. The hiking tour would cover 10 miles (16 km) and was said to provide the best overview of the national park. Together with a group of other tourists we left Prague early for a full day of exploring the place. Upon arrival I wished we left even earlier, as unexpectedly many people use this area for hiking. And many tours arrive at the same time. 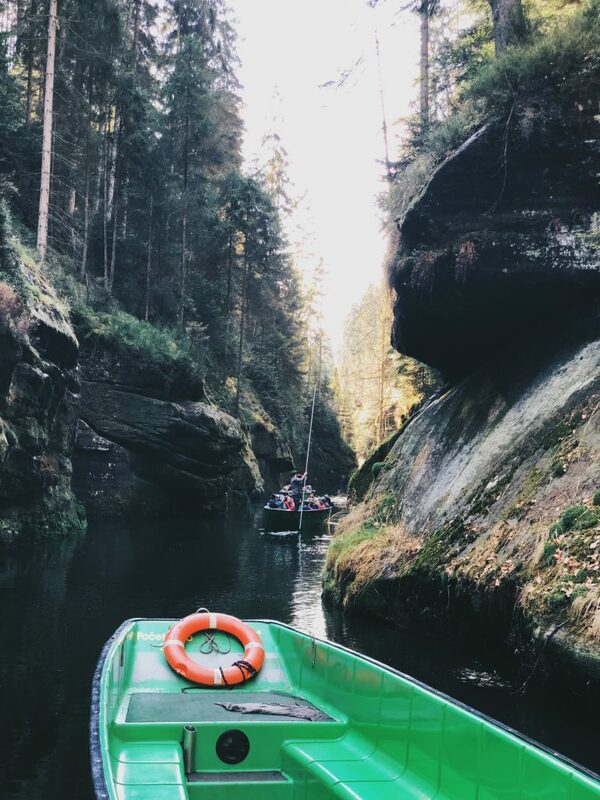 When asking locals which sites you should not miss, they always recommend the Pravcicka Gate and the Gorges of Kamenice dinghy ride. Guess where we would end up today? We hiked through the most preserved parts of the national park – the so called “First Zone” – which covers less than 7 % of the national park. From sandstone formations and steep rock walls along the way up to the Gate to a nice forest walk. This, if we wouldn’t have been walking so fast, and surrounded by tourists, would have been the perfect way to relax your mind. While being on a mission to capture amazing images I was a little disappointed. A bright sunny day and tour with other tourists made us miss the best light and times at the best places. We really seemed to be in a little bit of a rush to cover a much distance which being a photographer doesn’t work well with what we had in mind. Either way, the place is beautiful and a try sight to see, although the park offers so much more it seemed, which we didn’t get to see. Once we reached the Pravcicka Gate spectacular views from the viewpoints all around provided itself. 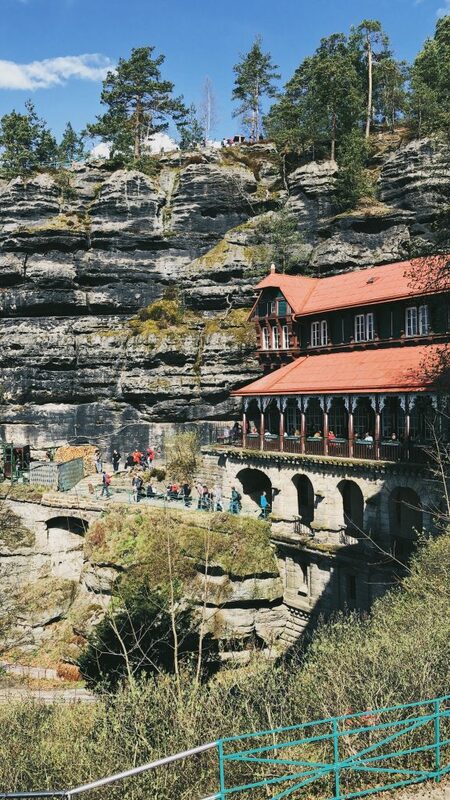 Sandstone table mountains in Germany, the Rose hill and a sheer forest below is something your eyes will feast on. This part clearly is the most beautiful part of the trip which then continued through Gabriela’s trail and takes you around even more sandstone towers in an easier 2-hour part of the hike. Although easier would mean more down hill. I will admit, my conditioning is awful these days and I did struggle a bit to keep up and keep going. Combined with that I just wanted to stop more for pictures but didn’t want to keep up the tourists who can snap pictures on the go that make a great Facebook filler. I aim for a little bit more quality and original views thus can’t be in this much of a rush to keep going. Next up was lunch, FINALLY! After being rushed out of breakfast as we had to leave for the others finally some food and a chair to sit down after hiking uphill for like three hours and an hour down hill. The traditional restaurant thus was a welcome sight. And yes, the tour claimed to provide great food and I will admit they cook really, really good meals there. After relaxing a bit we headed further down, for a short but great boat ride which would eventually get us closer to our final destination and back at the beginning of the day. This would start our return to Prague where during the ride back to the city I noticed all people who had joined the tour, fell asleep in the car. I must’ve not been the only one exhausted! 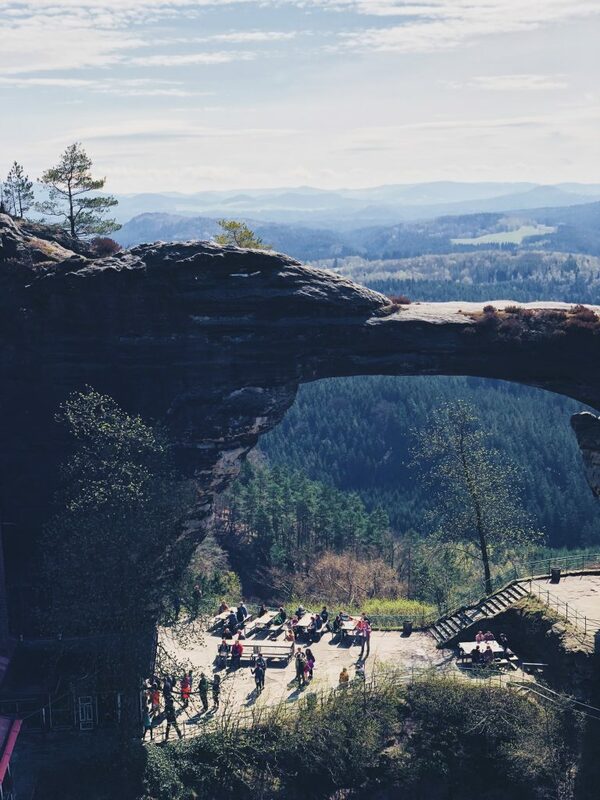 This trip was offered to us by Northern Hikes which offers day trips to Bohemian-Saxon Switzerland and was one of the first companies which organised tours for English speaking visitors. They provide eco-friendly tours and the guides grew up in the area making them very knowledgeable about the surroundings and local habits.